A few years back Bermuda’s golf product was in a slumber. It was stale and hadn’t been updated in years. Golfer’s complaints were growing louder and rival destinations trumping the island in many areas. 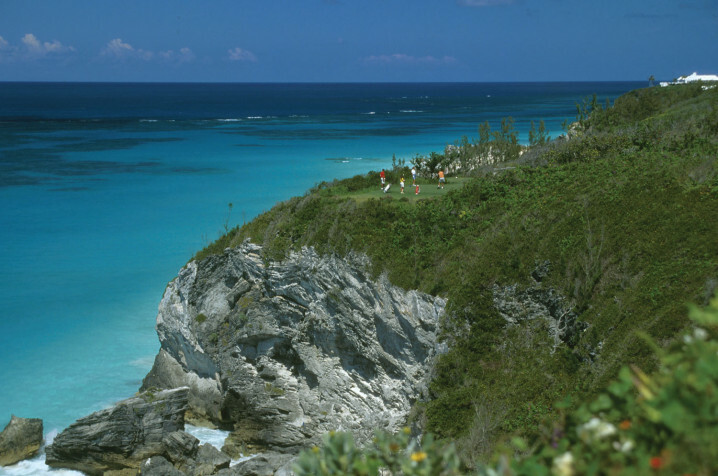 Travel publications, including this one, relied on regurgitating tired old phrases and statistics to tempt golfers to Bermuda. ‘The highest concentration of golf courses in the world’ and ‘more golf courses than fast food outlets’ were examples of the marketing language employed. The signs of decay were eventually heeded and government and the island’s golf clubs finally took steps to address the decay. 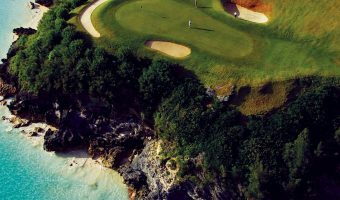 The reincarnation began in 2002 with the opening of the Tucker’s Point Golf Club at the Tucker’s Point Club, an exclusive resort community in the island’s wealthiest area. The former Castle Harbour Golf Club was transformed by Roger Rulewich, the former chief designer for Robert Trent Jones. All the greens were re-contoured and putting surfaces replanted with TifEagle. New tees and bunkers were constructed and a new irrigation system installed. A brand new club house opened a couple of years later, followed by a boutique hotel in 2009. Around the same time an even more radical transformation was taking place at the Belmont Golf and Country Club. It was literally razed to the ground and completely rebuilt by Californian golf architect Algie Pulley. It reopened as the Belmont Hills Golf Club in 2003, becoming part of the Newstead Belmont Hills Golf Resort and Spa in 2009. Government also made significant improvements at the Port Royal Golf Course. Thousands of trees were removed to open up new vistas, new bunkers and water hazards added, and the signature 16th hole lengthened. The new course was unveiled in 2009, just in time to host the PGA Grand Slam of Golf. Changes were underway to at the Fairmont Southampton Golf Club. From 2009 onwards the course was given a total facelift, and the clubhouse and golf shop upgraded. In 2012 the course was rebranded as the Turtle Hill Golf Club. Major revisions were also carried at the Mid Ocean Club and Riddell’s Bay, two private clubs with great pedigrees. The government-run Ocean View Golf Course is pretty much the only course that hasn’t seen significant development. It’s been a drain on the island’s coffers for years and government are reportedly looking for a private buyer. The St George’s Golf Course, another public course, closed in 2008. It may reopen if a new hotel is ever built on the site of the old Club Med. The most recent addition to the island’s golfing scene caters primarily to cruise ship passengers in port at Royal Naval Dockyard. Bermuda Fun Golf opened in 2013 and is a putting course featuring replicas of famous holes from Bermuda, Scotland, and the United States. 18 hole course - part of the Newstead Belmont Hills Golf Resort and Spa. Driving range and miniature golf course. Private club - course designed by Charles Blair Macdonald. 9-hole government-run course close to Hamilton. Government-run course and venue for the PGA Grand Slam of Golf. The oldest golf course in Bermuda. Part of the Rosewood Tucker's Point hotel. Par-3 course in the grounds of one of the island's most luxurious hotels. Widely regarded as one of the best public golf courses in the world. Check out our aerial photo of the famous 16th.